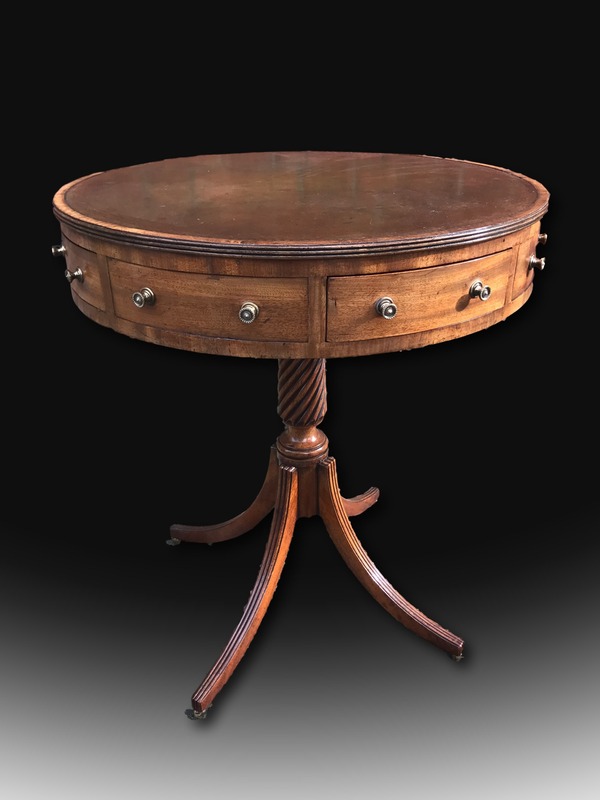 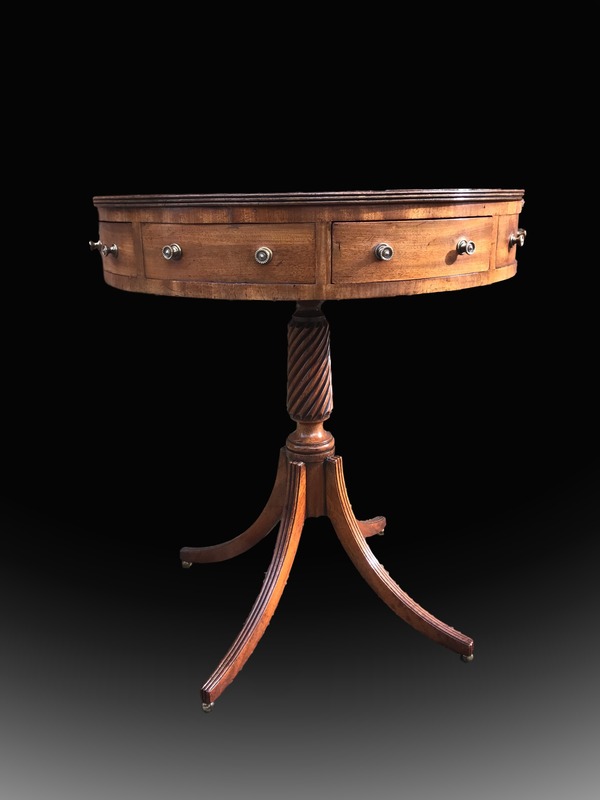 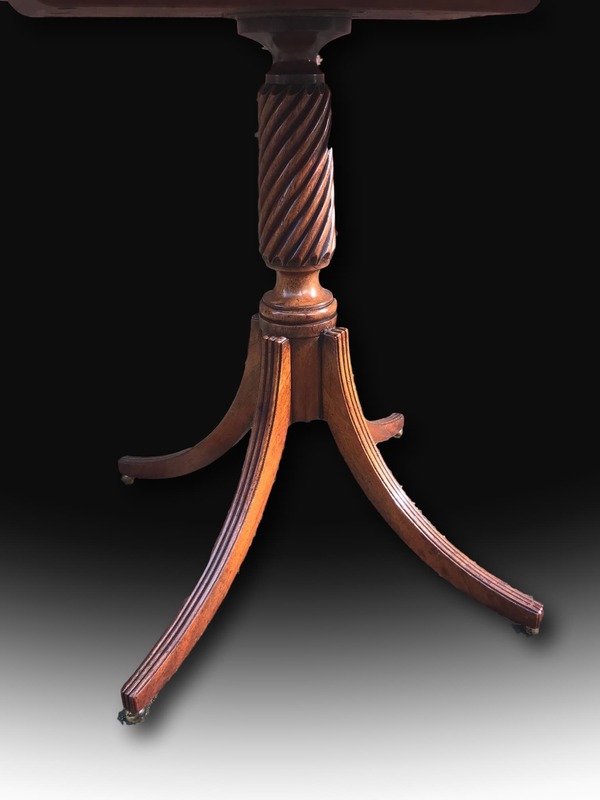 Outstanding George III mahogany drum table of extremely rare small size and of exceptionally elegant design. 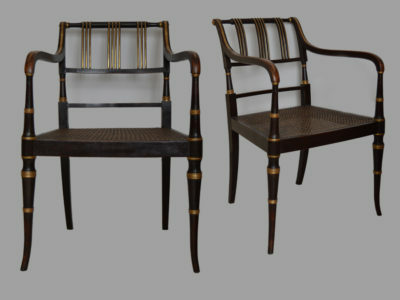 The revolving reeded top has retained its leather. 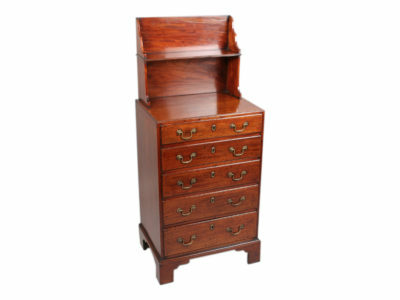 It has original handles and has four drawers alternating with dummy ones. 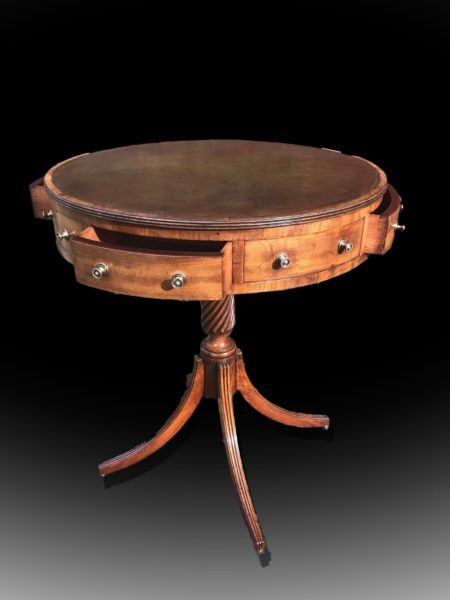 The table has a Norman Adams label and comes from a good private collection. The top measures 63cm in diameter. 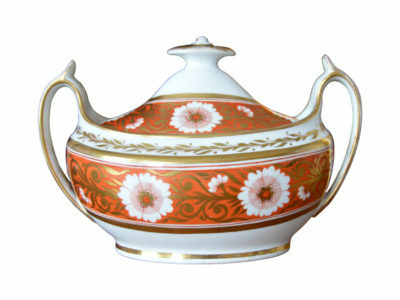 Early 19th century Spode Sucrier C1820.